Ross & Hall Kitchen + Beer Garten — We’re Finally Here! After a much-anticipated wait by all, we are happy to say that our doors are open for you and your empty stomachs to come and enjoy a delicious meal (and refreshing drink) with us! 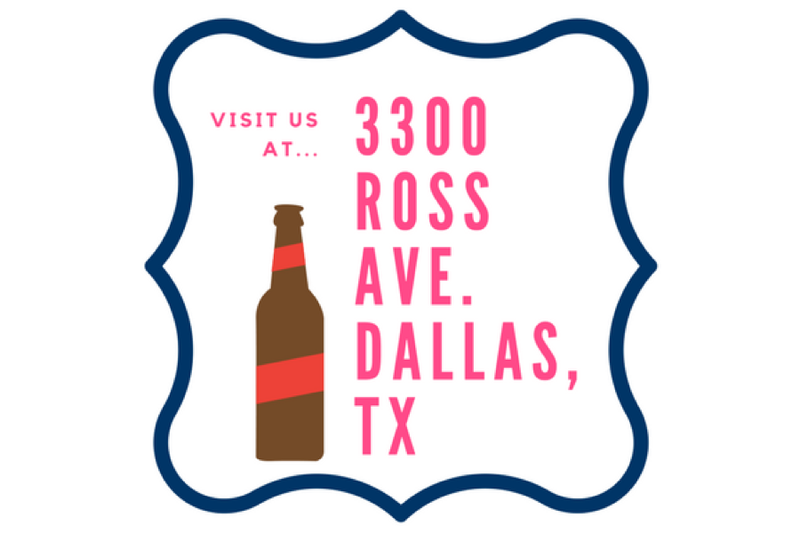 Located and named conveniently at the corner of Ross Avenue and Hall Street (3300 Ross Avenue Dallas, TX), after your first trip you will never forget our location, our name, and our delicious food and drink options—we promise! We are open right in time for football season, and we know that this will be your new favorite spot to stop with friends and family. No matter what the occasion, your day will be better after visiting Ross & Hall. Who is Ross & Hall Kitchen + Beer Garten? This new restaurant comes from a delicious and Dallas-based family including: State & Allen, The Nodding Donkey, and Social Pie. With that sort of reputation, you know what will be served will be delicious. Ross & Hall will be most like State & Allen’s location, it will have a fun and upbeat menu that includes burgers and pizza, with a crafty chalkboard to display the specials. Along with that, Co-Owner Jonathon Calabrese also said that we here at Ross & Hall are going to be super flexible. This means we are looking for customer’s opinions—what they like, what they wish we had, and what we can do to really enhance our menu. And if we are going to have a beer garden, how could we not have different drink specials? Well, of course we have them! You will just have to come in and check out what they are—we don’t want to give away too much here! We will have different options that range from your classic Miller Lite, to scotch, to Texas born and bred brewery options, and wine. Of course, for our friends that are under 21, we have some great options for them, as well! Next time you are wanting to try something new—Ross & Hall is your choice! It’s new, it’s fresh, and it has an amazing location on the corner of… Ross & Hall! How can you go wrong with a new restaurant that not only has a trendy beer garden, but also has drink specials? You absolutely can’t! With a family behind Ross & Hall like State & Allen, The Nodding Donkey, and Social Pie you know it will not disappoint! We cannot wait to see you! Ross & Hall—A Peek into Our Menu!